Ralph S. O’Connor ’44, alumnus, civic leader, entrepreneur and longtime friend of New Hampton School died on Sunday, December 30, 2018 at his home in Houston Texas at the age of 92. Born in Pasadena, California, he attended Manhasset High School, Manhasset, New York and graduated from New Hampton School. He enlisted in the Air Cadet Program in November 1943. Following his discharge from the Army Air Corps in 1946, he attended The Johns Hopkins University, graduating in 1951 with a degree in biology. Following graduation, he moved to Sour Lake, Texas and began his oil and gas career as a roustabout for Highland Oil Company, where he worked his way up the ladder to become President and CEO of the Highland Oil Company in 1964. He left Highland Resources in 1987 to start his own firm, Ralph S. O’Connor & Associates. In addition to his oil and gas exploration and real estate activities, he served as a director of numerous companies, including Texas Eastern Transmission Company, Panhandle Eastern Corporation, First City National Bancorporation and First Commercial Corporation. Along the way, he broadened his business horizons with various investment opportunities. He was one of the six Texas distributorships for the Adolf Coors Company and one of the four original partners who acquired the NBA’s San Diego Rockets, and brought them to Texas as the Houston Rockets. Ralph O’Connor visited the campus in 2013 for the dedication of O’Connor House. 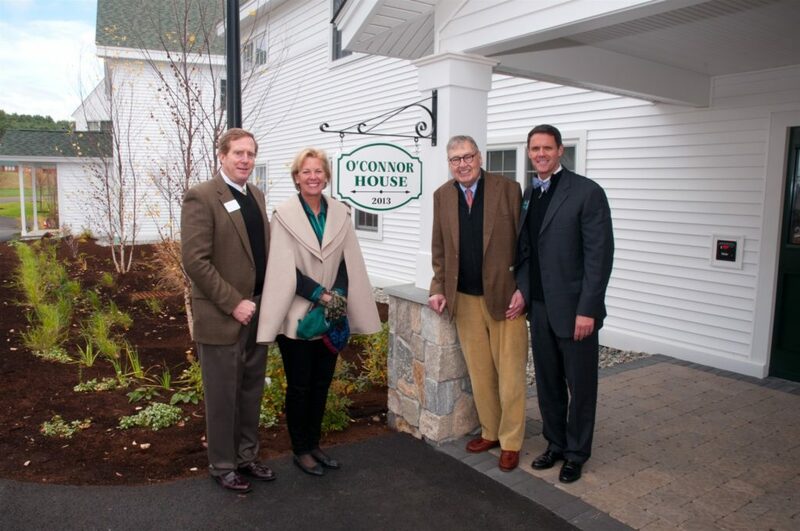 Pictured here with Former Chairman of the Board Peter Galletly ’73, P’09, wife Becky O’Connor, and Former Head of School Andrew Menke P’12, ’16. Ralph had a devoted interest in education at all levels. He truly enjoyed his involvement with schools, students and faculty in both academics and athletics. He took great pride in the time he served as a trustee or director of Rice University, The Johns Hopkins University, Texas Southern University, The Kinkaid School, Episcopal High School, Oldfields School, The Marian and Speros Martel Foundation, Salk Institute for Biological Studies, Texas Children’s Hospital and as Chairman of Hermann Hospital. 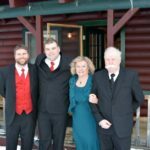 Ralph shared his enjoyment of travel with his wife Becky, family and friends. Over the years, many fun trips and events he organized were the highlight of the year. His love of contemporary art started at an early age and the adventure of collecting carried on throughout his life. Houston and the arts also received the benefit of his interest by significant contributions to the business, civic and cultural communities of the city he loved. As a two-year student at New Hampton School, Ralph arrived to our campus in the fall of 1942, and remained closely connected to his alma mater throughout his professional life. During his years at New Hampton, Ralph participated in basketball — highlighting a passion for fitness and sport that later inspired a philanthropic endeavor at Johns Hopkins University in the form of a lead gift on a campus recreational fitness center. 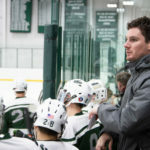 As an adult, he understood how his years as a student at New Hampton School and beyond laid the foundation for future success in his education, military service and professional career. Ralph epitomizes both the art and the science of stewardship — what is possible when someone cares deeply about an institution and its community of people, so much so that giving back becomes a life priority. 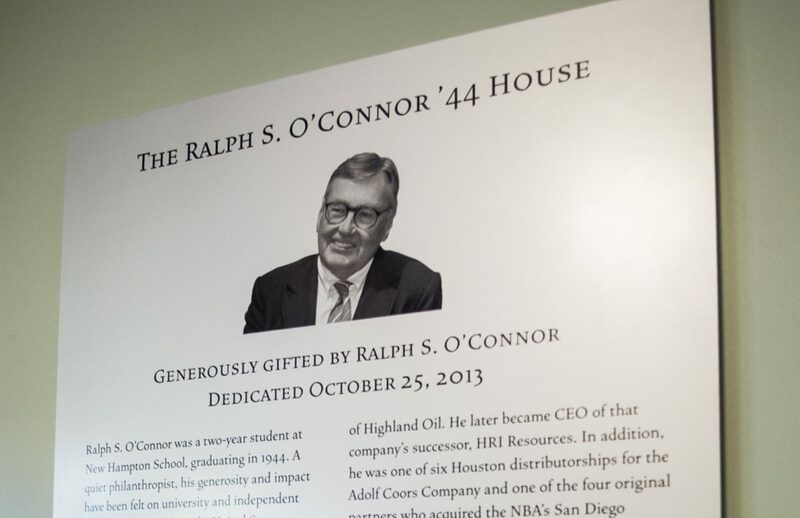 A plaque hangs in O’Connor House to ensure that students for years to come are educated on Ralph’s generosity and compassion. 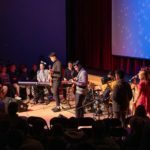 Ralph has forever changed the landscape of our school community with his wisdom, his business expertise, his passion for educating kids and his desire to help others. Not only did he fund O’Connor House, a student and faculty residence on Caswell Lane, he also established the Ralph S. O’Connor Excellence in Teaching Prize —the most meaningful recognition of our faculty. 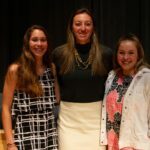 For a teacher to know that his or her service to teaching has not gone unnoticed — that the work a teacher does each day makes a difference in the lives of our present students and in the future of our alumni, is a powerful statement. It was for these reasons Ralph created the O’Connor Excellence in Teaching Prize. The O’Connor Excellence in Teaching Prize recognizes a faculty member who has been selected as a strong contributor by demonstrating such attributes as: setting the highest standard for their students while not abandoning them to their own resources; nurturing students inside and outside the classroom; and demonstrating a commitment to the student, the school, and the art of teaching. Ralph recognized that dedicated faculty are at the heart of our success and thoughtfully ensured their recognition and celebration. 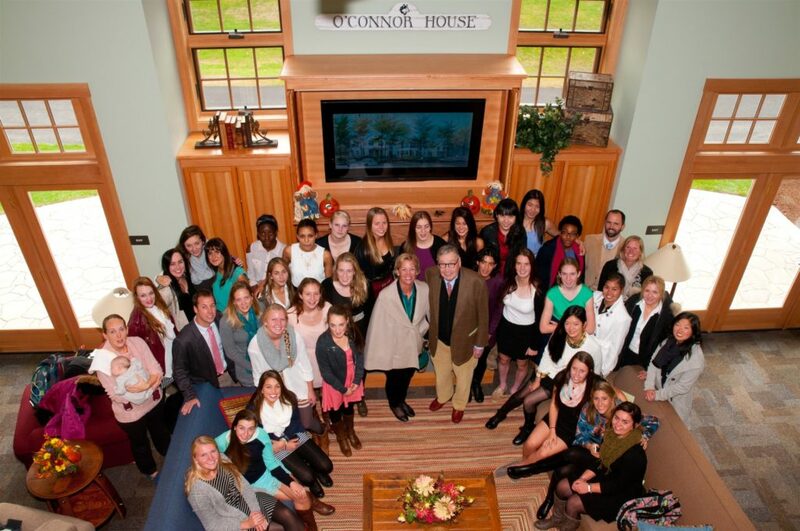 The first residents of O’Connor House shared this photo opportunity with its benefactor in the house’s common room in 2013.